This 12th Century church needed an extension to its south side to provide church hall accommodation. 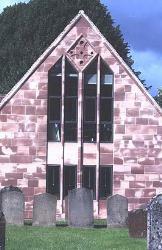 The external design of the church hall is in random coursed stone to match the existing church, with dressed stonework around the ground door and window reveals. 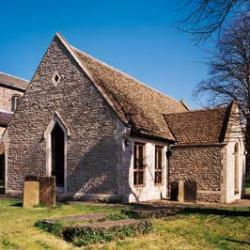 The roof construction is a Cotswold stone slate finish on traditional rafters. The roof of the main hall is supported on a series of twinned glulam roof trusses which give an open ceiling to the space. The hall can be subdivided by a full-width acoustic screen which slides into a storage area off the main hall to give a completely unobstructed space when not required. 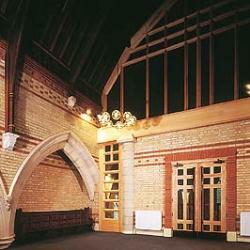 The original narthex and balcony to this Grade II listed building were badly damaged by a fire. Instead of restoring to the original style the PCC decided to enlarge the first floor area and create meeting rooms, interview rooms and offices. 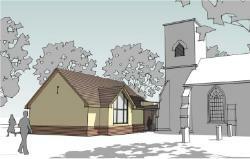 The ground floor was re-ordered to form a small chapel, narthex and kitchen. 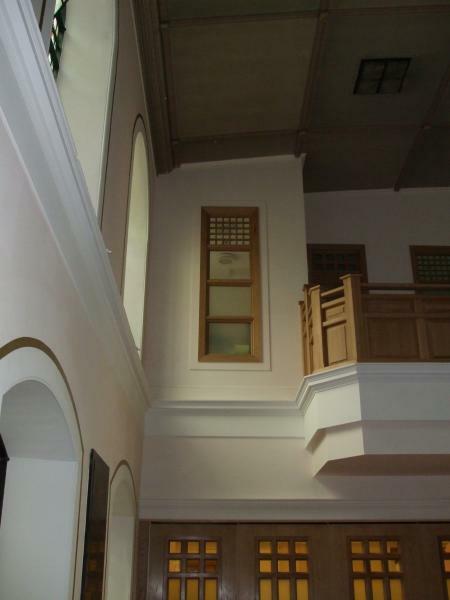 The design concept for the main screen wall and ground floor sliding/folding screen was to create a series of features that were “timeless” in style. 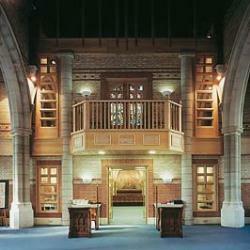 The project involved extensive re-ordering and repair of this sensitive 19th Century church. 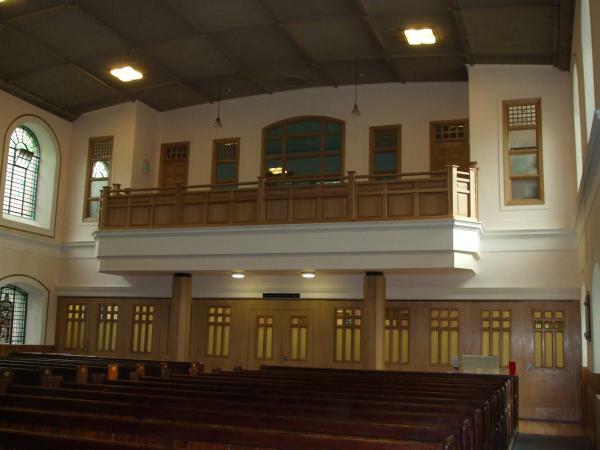 A new mezzanine floor was created at the west end and this enabled the introduction of two large meeting rooms, seminar rooms, offices, kitchens and lavatories. Extensive care was taken to ensure that the new materials harmonise with the existing. 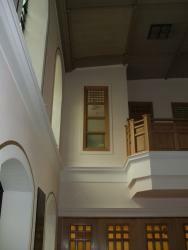 The introduction of the mezzanine floor provides ideal views of the large stained glass west window. This new two storey church replaced the original Baptist church which was demolished to make way for a retail development. 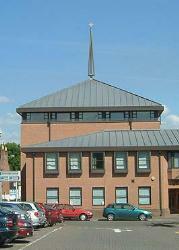 The new building occupies a prominent corner site in the centre of the town. The external walls are in facing brick and the roofs are covered with terne coated stainless steel. 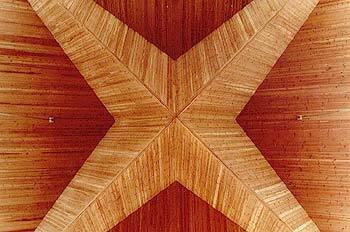 One of the key features of the double height worship area is the timber ceiling which is in the form of a four pointed star. The building also includes a multi-purpose hall, kitchen, small and large meeting rooms, offices, dining areas, lifts, and ancillary areas. 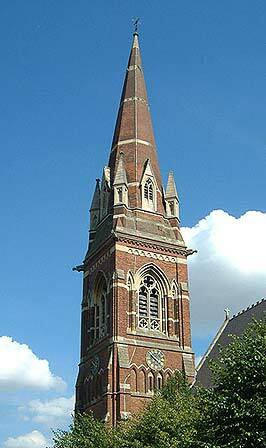 The construction cost was approximately £1.3 million. 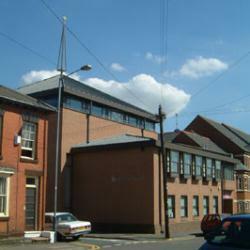 The design for the building won a Leamington Spa Society Award “in recognition of a significant contribution made to the quality of Leamington Spa”. 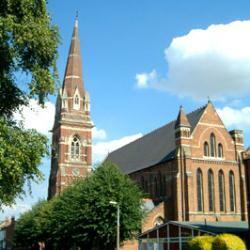 This large red brick Victorian Church required much needed restoration of all of it’s roofs. 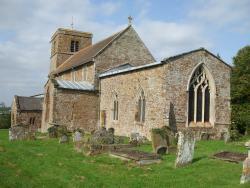 The £250,000 project was partly funded by English Heritage Lottery Fund and the Parochial Church Council. 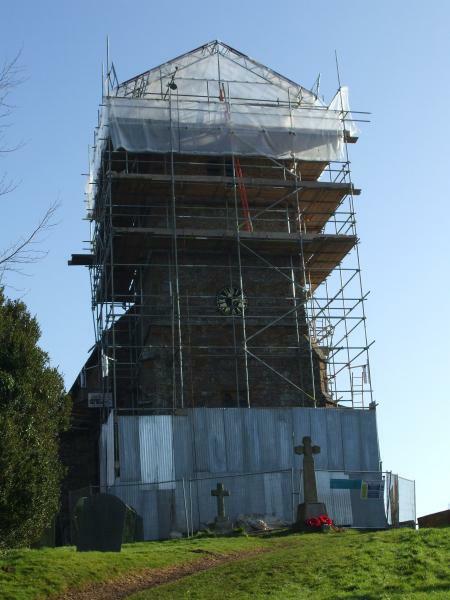 Working closely with English Heritage and Warwick District Council Conservation Department we were able to carefully re-roof this wonderful historic building. 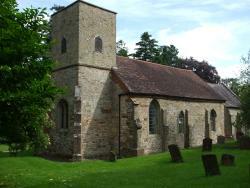 St. John Baptist Church is one of the finest churches in Warwickshire and is acknowledged as such in Simon Jenkins’ 1,000 Best Churches. Much of the fabric is Norman with an unusual crypt and the final addition of an Elizabethan half-timbered porch creates a very attractive ensemble. To make any addition to the fabric was some matter of controversy but careful evolution of the design has produced a solution which has proved to be successful both practically and aesthetically. The extension, which is invisible from the main approach path, consists of large and small meeting rooms, parish office, lavatories and kitchen on two floors. Externally the building is faced with local pink sandstone and the roof is handmade clay tiles. [The total cost of the contract, including Archaeological work, was £400,000]. 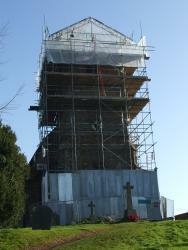 One of many local churches that the Practice looks after, the roof of the church has recently been replaced as it was in poor condition. There is also a scheme for a new reading room linked to the church building by a glazed corridor, which will provide much needed toilet and kitchen facilities for the church and a large meeting room for community use. 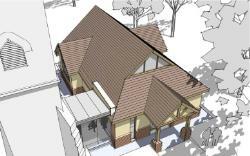 This is subject to planning consent. 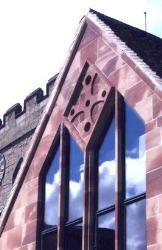 The Practice has acknowledged expertise in all aspects of ecclesiastical work. 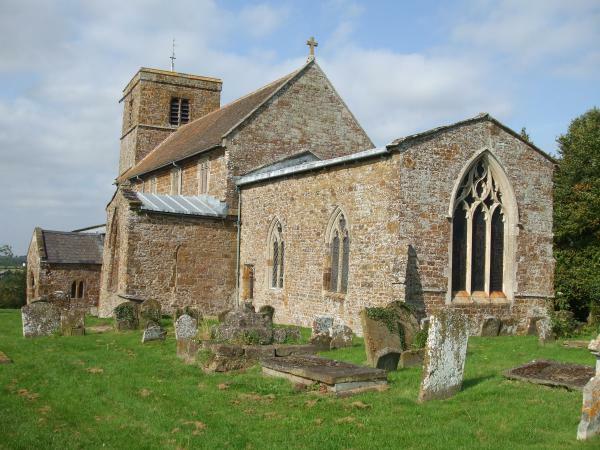 This includes quinquennial inspections, conservation, repair, re-ordering and extending of some of the country’s finest churches. Our designs for new churches of all denominations have won many awards and commendations. The Principal, Steven Matthews, is registered as an Architect Accredited in Building Conservation and holds appointments as Inspecting Architect for many churches in the Diocese of Birmingham, Coventry, Leicester, Oxford, Peterborough and Southwark. The Practice can provide advice on the procedures for English Heritage and Heritage Lottery Fund Grant applications.